E-Bikes, or electric bikes, are becoming increasingly more popular. They are proving to not only be a in demand among senior cyclists, but are also clearly replacing scooters in Western Europe. In the Netherlands, E-bikes account for more than 58% of all bicycle sales. 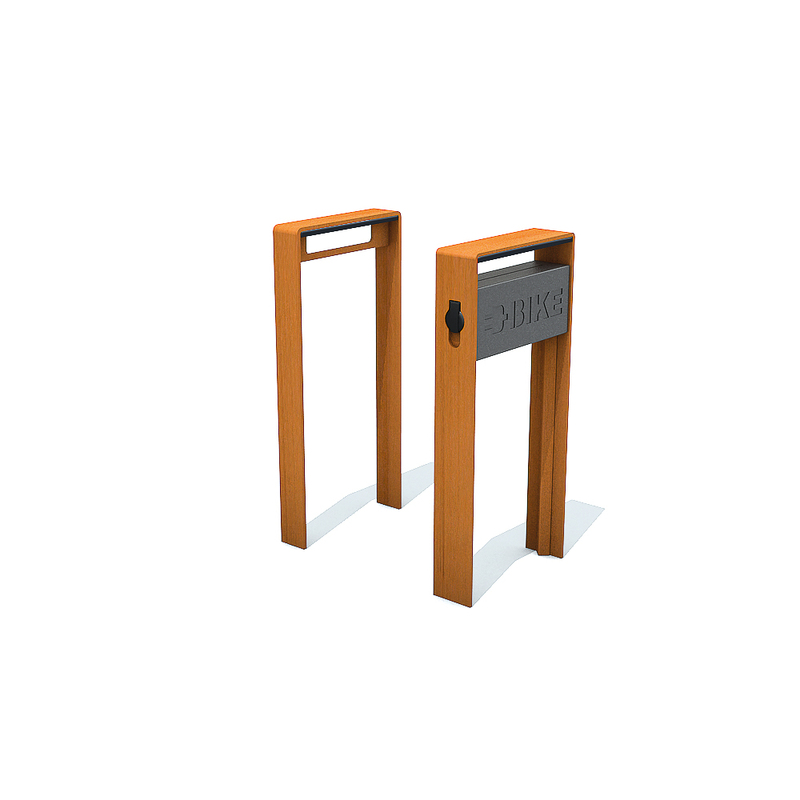 The CorTen E-Bike Bicycle Rack meets the growing need for public spaces to provide more electric charging stations for bicycles. 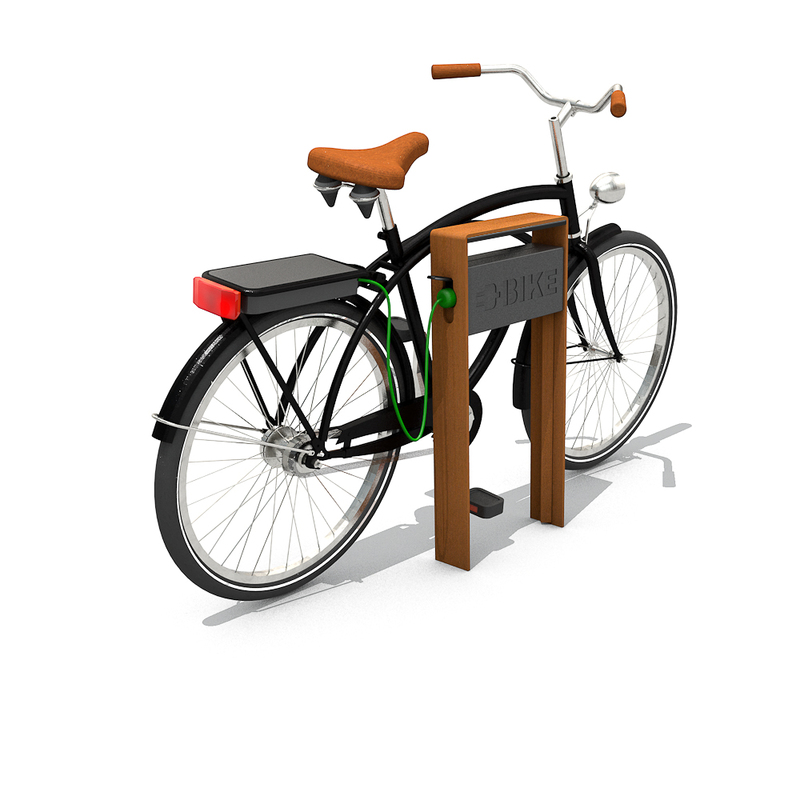 The bike rack is fitted with a grounded electrical outlet and cover (220 volts or 110 volts) on both sides. 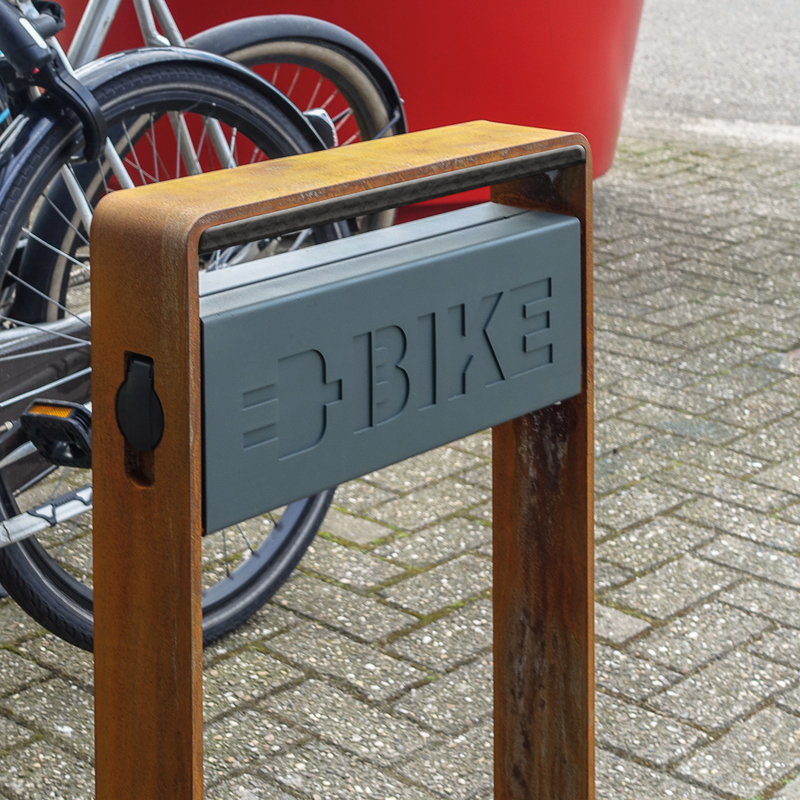 The E-Bike Racks look great when combined with Streetlife’s standard CorTen bicycle racks. 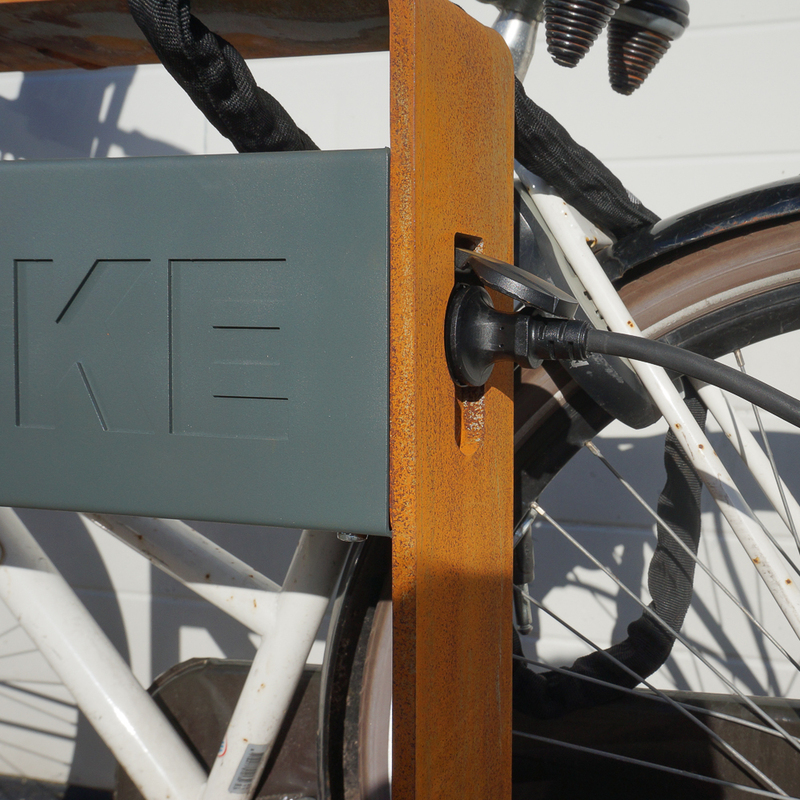 CorTen E-Bike Racks are standard-equipped with a plastic AB anti-damage strip that prevents damage to bicycle frames.